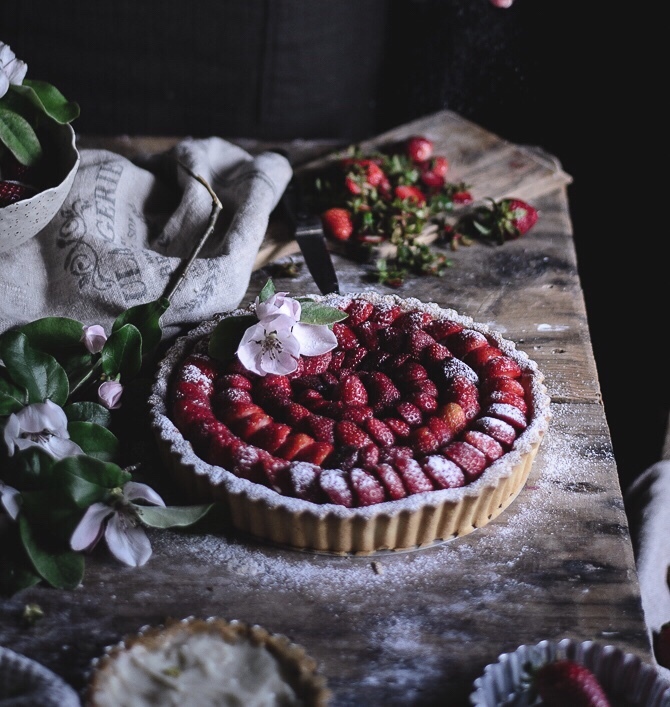 Baker, blogger, photographer and stylist – these are some of the many talents of Portugal based dessert blogger Patrícia Nascimento. Patrícia’s delicious recipes on Coco e Baunilha inspire us visually and are guaranteed to satisfy the sweetest tooth. We take five with her this week to find out more. Where is your favourite travel destination and why? I have many dream destinations and to be honest I wish to travel all around the world. However, the ones that always comes to my mind first are the Maldives or Polynesian Islands, because they are so dreamy and I love the blue tones and wild beaches. In Europe, Italy, because it’s a country that I would love to explore from north to south. 2. What is your go-to recipe to cook at home? Pasta is my comfort food. I love it because it is so simple and versatile. It’s quick to cook and the sauces are uncomplicated and equally speedy to make. And there are so many pasta shapes. My son love it too so that’s our favorite meal. 3. What can’t you live without in the garden? I can’t live without my citrus and avocado trees. My beautiful roses too, they inspire me so much and Aloe Vera for its health and beauty virtues. French pastry is my big inspiration! Or it could be fruits, flowers (especially peonies), roses and lilacs, nature, textures, beauty, cookbooks, beautiful blogs…etc. A perfect day for me is to wake up early, bake a cake or pie, prepare the scene using flowers, styling and shooting. The rest of the day would be walking by the sea, reading a good book and sharing the cake with my loved ones. To see more of Patrícia’s beautiful recipes and photography visit her blog here and to follow her on Instagram visit here. Lovely images to go along with your post.